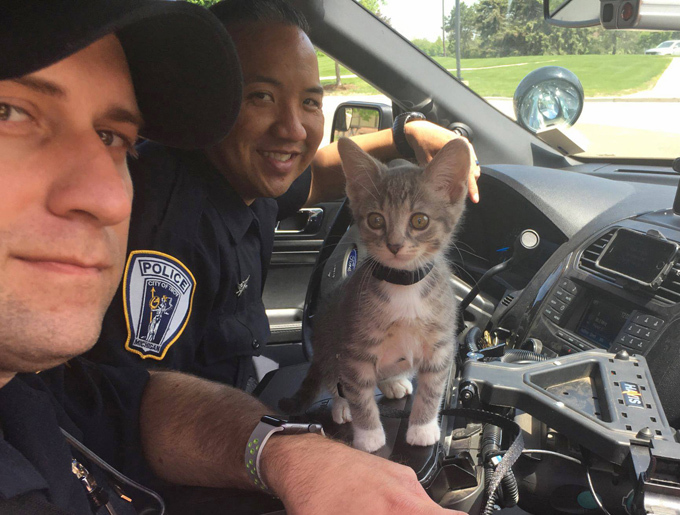 If you follow the Troy, Michigan Police Department on Twitter you know they love cats and desperately wanted a police cat. Their wall has some crime on it, but mostly it has a lot of cats! So they issued this challenge in March, if they could get 10k followers by April they would get a police cat. Well they got 10k followers and then they interviewed kittens from the local animal shelter to find the right kitty for the job. They finally settled on this adorable kitten who is now aptly named Officer Donut. 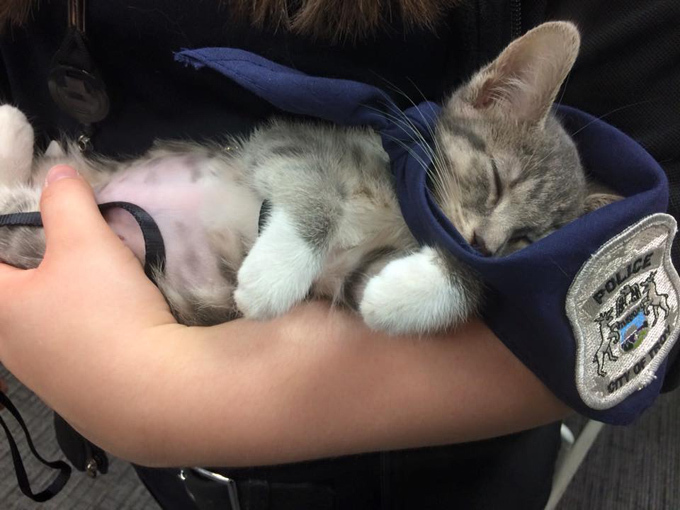 Officer Donut is now on duty and you can follow all of this feline detectives activities on their Police Department Facebook page. 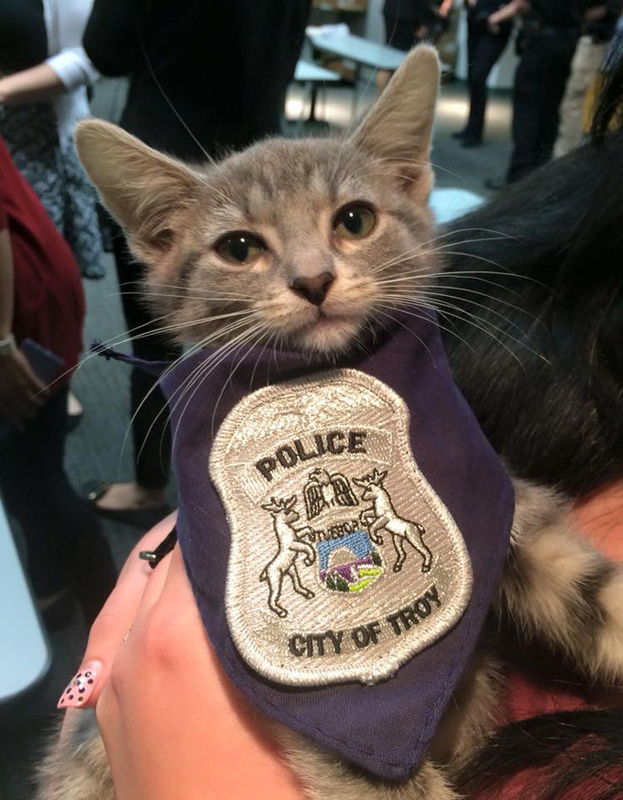 Also, be sure to follow the Troy, Michigan Police Department on Twitter to show your support for Officer Donut!